FACT CHECK: Does Coca-Cola Coax Worms Out of Pork? Does Coca-Cola Coax Worms Out of Pork? 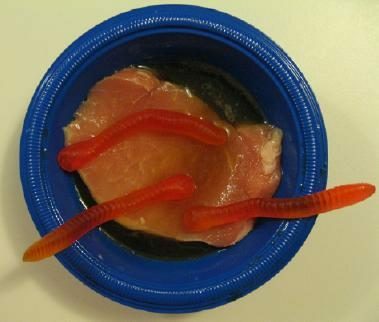 Pouring Coca-Cola onto a piece of raw pork will not cause worms to come crawling out of the meat. Pouring Coca-Cola onto a piece of raw pork will cause worms to come crawling out of the meat. Most of us have been exposed to information cautioning us to be wary of pork, from religious traditions (particularly in Jewish and Muslim cultures) that proscribe its consumption to warnings that one can get really sick by ingesting parasites present in (undercooked) pork products. Infection used to be more common and was usually caused by ingestion of undercooked pork. However, infection is now relatively rare. During 2008-2010, 20 cases were reported per year on average. The number of cases decreased beginning in the mid-20th century because of legislation prohibiting the feeding of raw-meat garbage to hogs, commercial and home freezing of pork, and the public awareness of the danger of eating raw or undercooked pork products. Cases are less commonly associated with pork products and more often associated with eating raw or undercooked wild game meats. Moreover, the potential for trichinosis can be headed off through observing a few simple precautions in the preparation of pork, such as cooking the meat thoroughly (the CDC recommends a temperature of 170°F, although most sources state that temperatures in the 140-150°F range are sufficient to kill the Trichinella spiralis roundworm), or freezing pork less than 6 inches thick for 20 days at 5°F or lower. I live in the south and have heard a rumor for several years now that I have been too busy (or lazy) to test myself. 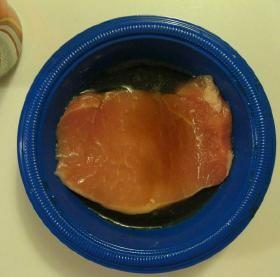 The rumor says that if you take uncooked pork bacon and pour carbonated, sugary soda on it, tiny “worm-looking” things will come out of the meat. This is believed to be a type of tapeworm, according to the supporters of the rumor. 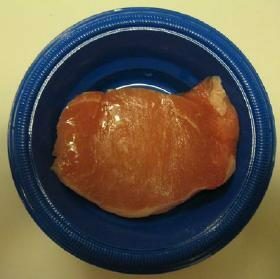 Any comment yet on the idea that if you take a piece of pork, draw a circle around it and then pour coke over it, the pork will literally move on its own outside the outline — apparently this is due to the worms and microbes living inside of it (pig, of course, being swine that wallow in their own filth). This newer legend plays off misconceptions of pigs as filthy, garbage-eating animals whose meat is ordinarily contaminated by disease-bearing worms and Coca-Cola as a drink chock full of caustic, bad-for-you substances that will dissolve flesh and bone. Thus, even the hardy, nasty worms supposedly found in pork can’t withstand the onslaught of the corrosive chemicals allegedly present in Coke and will come crawling out of their comfy, edible homes to escape it.